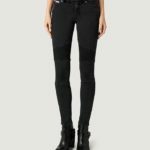 I see a lot of rad biker jeans in this All Saints collection. 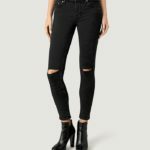 The All Saints Biker Jean is cut from European sourced super stretch black denim with a faded worn-in wash, biker-detailed with a zip hem for an even skinnier ankle fit. 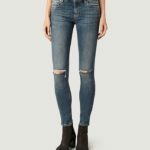 Their Mast Jeans are another cool sample of this collection: The highest quality denim is juxtaposed with supple skins. 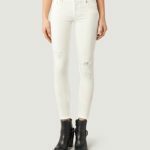 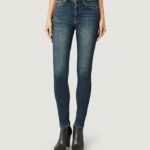 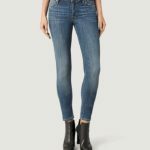 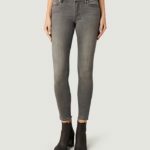 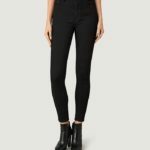 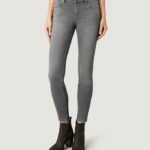 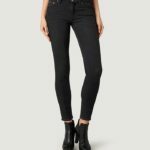 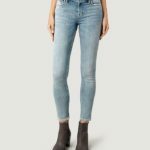 Perfect for off-duty style, the All Saints Mast Past Jean is cut from super stretch denim and detailed with smooth leather knee patches (you can check these out above). 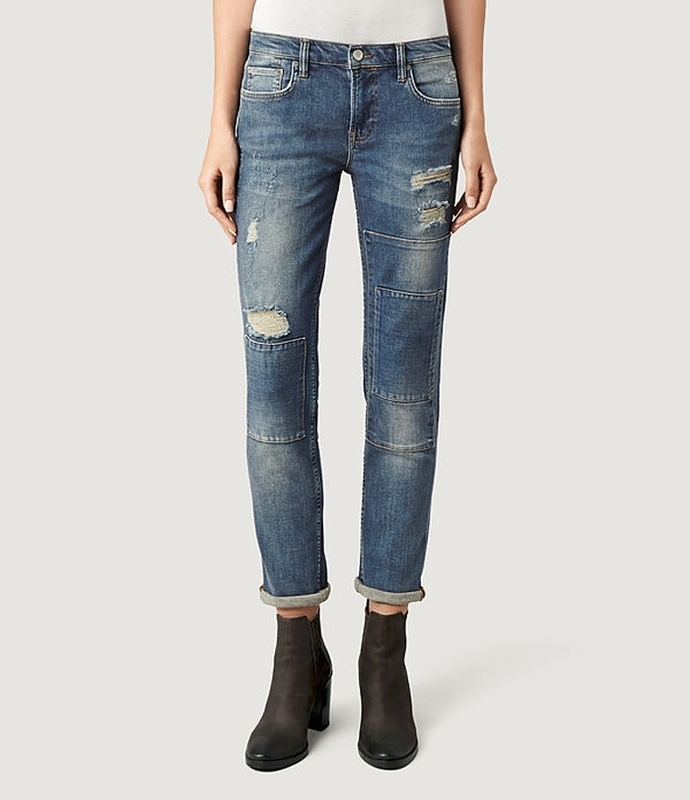 A new denim boyfriend fit for the season, the All Saints Slim Jeans complete your contemporary uniform. 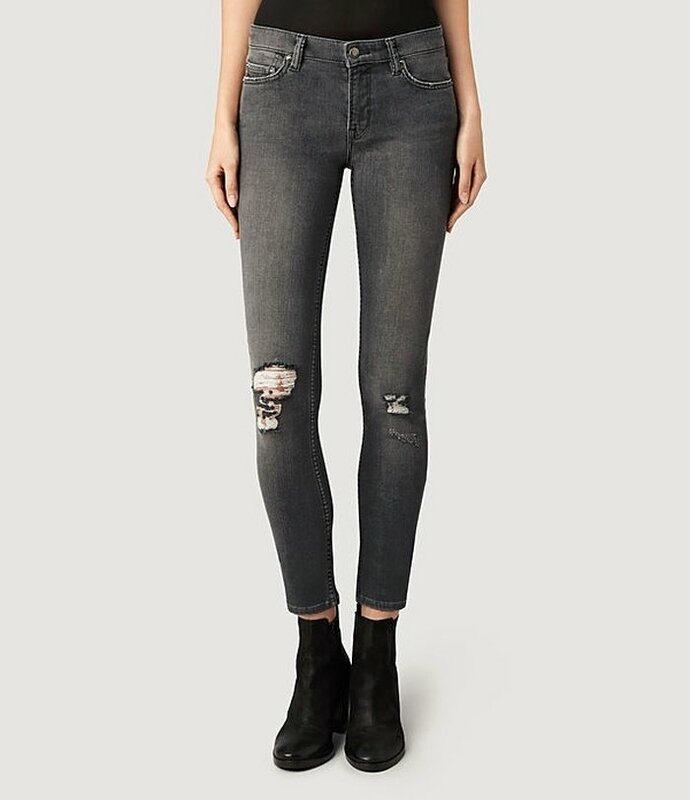 They are cut from European sourced indigo denim with a heavy worn-in wash, while damages, repair stitching and patched knees create an authentic worn-in appearance. (Last large image below). 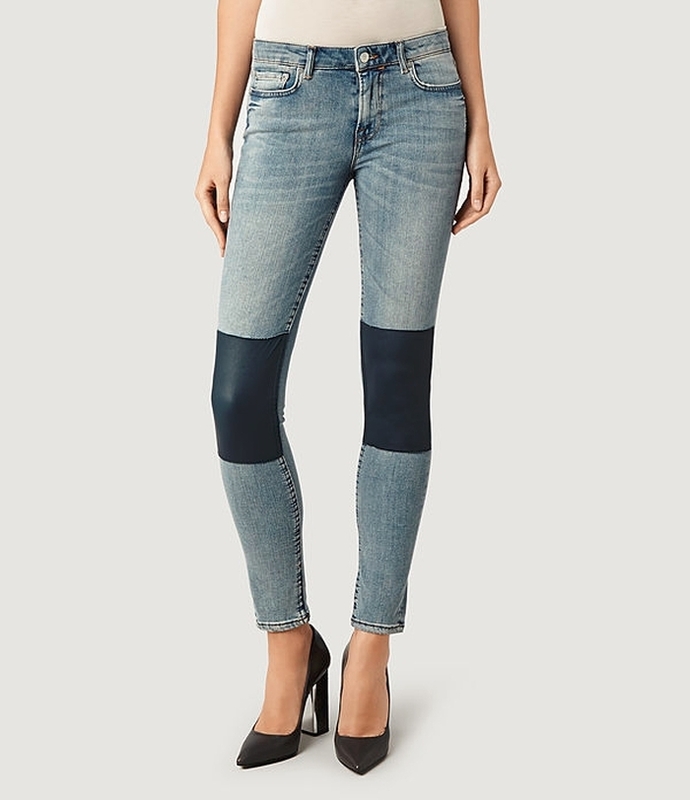 Other options are the reptile, the Vintage Black, the Lacquer, and the coated jeans. 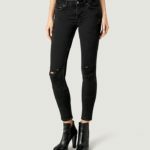 A trendy and kickass collection, and we should absolutely be able to find our perfect pair there! 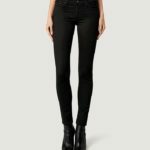 You can purchase All Saints denim from their website, and also in their stores.